Some of the most beautiful places on earth are found in deserts. The dry air, high temperatures, and lack of shade make these unique environments difficult to camp in but the effort is well worth it. 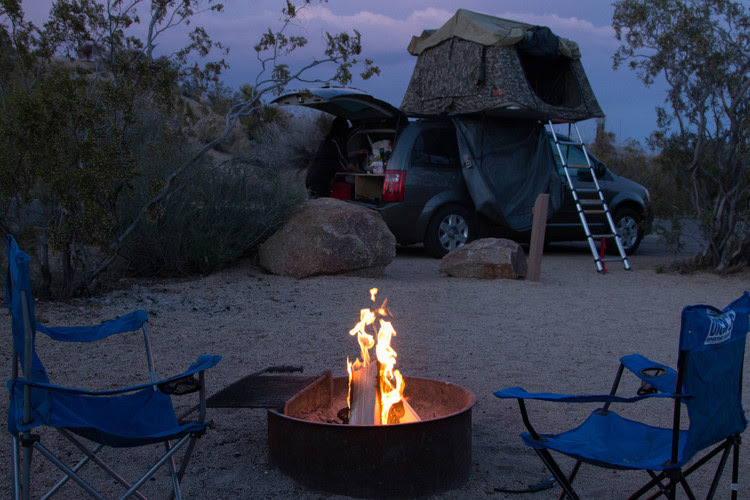 Over the summer months, thousands of travelers make their way to America’s gorgeous desert campgrounds – and for good reason! But you don’t want to head out without planning ahead. We’ve put together some western desert camping tips to help keep you cool, hydrated, and having fun during your adventure. 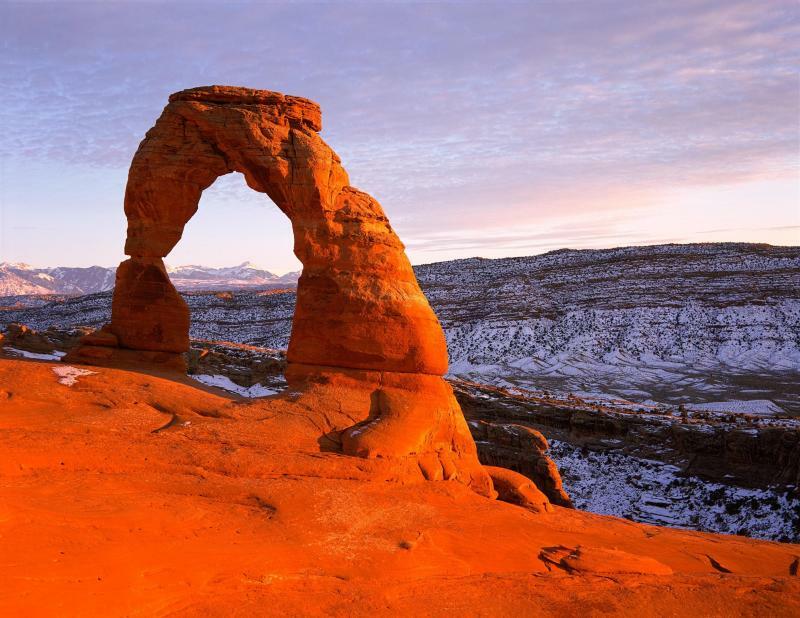 Utah and Nevada are known for their desert environments, and with scenery like you can find in Arches or Great Basin, it’s a reputation well earned! Summer temperatures can easily surpass 100 degrees Fahrenheit (that’s about 38C), and with many areas lacking good sources of shade, it can easily wear down the body’s water supply. You’ll want to pack plenty of water for your trip, especially for when you head out on those long walks or strenuous hikes. Hydration needs vary from person to person, but it’s safe to say that you’ll want to bring along 2-3 water bottlers per person while you’re out and about. If you’re starting to get a headache while you’re hiking, you’re already dehydrated! Take frequent water breaks while out for long periods of time. 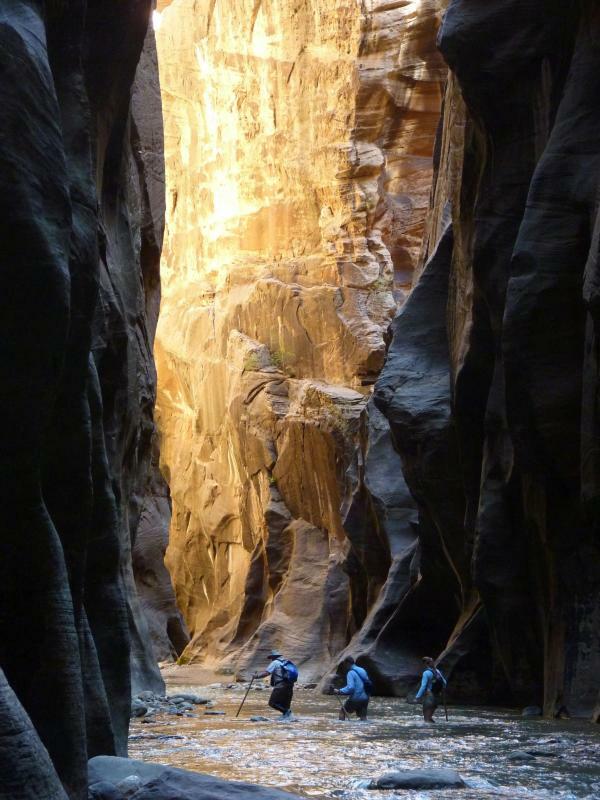 The heat isn’t the only thing that can sap your water supply – Utah’s air is especially dry. If you’re traveling from somewhere with a lot of humidity, you’ll probably notice the difference as soon as you get off the plane. While deserts are hot during the day, the opposite is true at night. Temperatures can drop down to 40 degrees Fahrenheit (that’s about 4C) when the sun goes down, so be sure to pack along warm sleepwear for nighttime. While you want to avoid cotton for below freezing temperatures, you should be fine using it over the summer season. Always look ahead for the weather forecast in the area you’re traveling to before heading out. If you’re headed to a National Park or State Park, they’ll often have any advisories that you need to be aware of posted on their website! 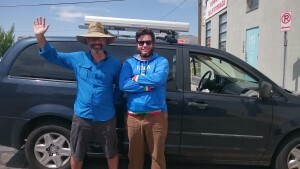 Checking ahead can make your desert camping trip a real success. If you’re prone to sunburns, you’ll definitely want to bring along some sunblock. In Utah, the elevation makes it so that even cloudy days can be burn days. Be sure to let your sun screen soak in for about 10-15 minutes before you head out on your next great adventure for extra protection. Even if your skin isn’t prone to burning, you’ll still want to apply some UV protection. People of all skin tones are susceptible to burns and can develop skin cancer from it later in life. And don’t forget the sunglasses! Your eyes need protection from UV rays as well. Bring a comfortable pair of shades to wear while you’re out exploring- your eyes will thank you for it. These items can really help in a pinch if you find yourself or a travel partner injured. While they aren’t 100% necessary for all trips, it’s a good thing to keep in mind for your desert camping trip! Depending on where you’re traveling, you may want to keep an eye out for native species. Rattlesnakes are well-known inhabitants of Utah’s deserts and parts of Nevada as well. Utah is actually home to two different species of rattlesnakes. They’re a necessary part of the ecosystem, but a rattlesnake bite is no joke. Be sure to keep your eyes on the ground while you’re out and about, these snakes can strike if they feel threatened and they don’t always give a warning. Mind where you’re putting your feet and you’ll be just fine, as snakes are not particularly aggressive and just want to be left alone. Summer is an incredibly popular time to travel, and Lost Campers can provide you a budget way to get to your desert vacation spot. Our Sierra class vans even come with a shade awning attached so that you can make your own little spot to get out of the sun. We’re booking up fast for summer already, so be sure to get your quote today! Know someone that’s planning to do some desert camping this year? Share this post to spread these simple tips to the campers in your life.